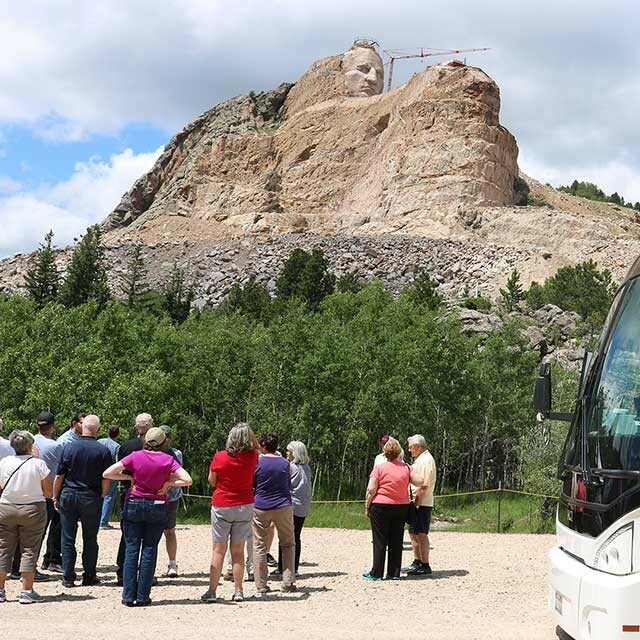 Among so many things, Crazy Horse Memorial® is a Monument honoring North American Indians. Chief Henry Standing Bear envisioned a Memorial to pay tribute to our indigenous people. Standing Bear and Native elders chose and invited our father, Korczak Ziolkowski, to carve a Monument in South Dakota’s sacred Black Hills. With a handshake, a promise was made and a dream was born. Although the sculpture will be the largest in the world, Dad always said it was the smallest part of the mission. With a strong belief in the importance of education, our parents ensured the project’s humanitarian goals included a Museum that would educate visitors about Native Nations and a University where Native students acquired knowledge and skill to make a difference for future generations. We continue to look to the future of the Mountain Carving, THE INDIAN MUSEUM OF NORTH AMERICA®, and THE INDIAN UNIVERSITY OF NORTH AMERICA® to continue to build the dream intended by its founders. 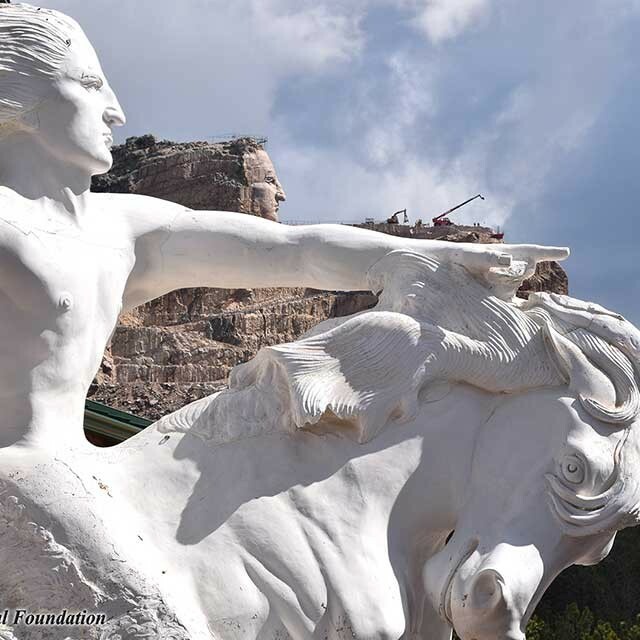 To make dramatic progress carving the Memorial, the next phases include completing Crazy Horse’s left Hand, left Forearm, right Shoulder, Hairline, and part of the Horse’s Mane and Head. 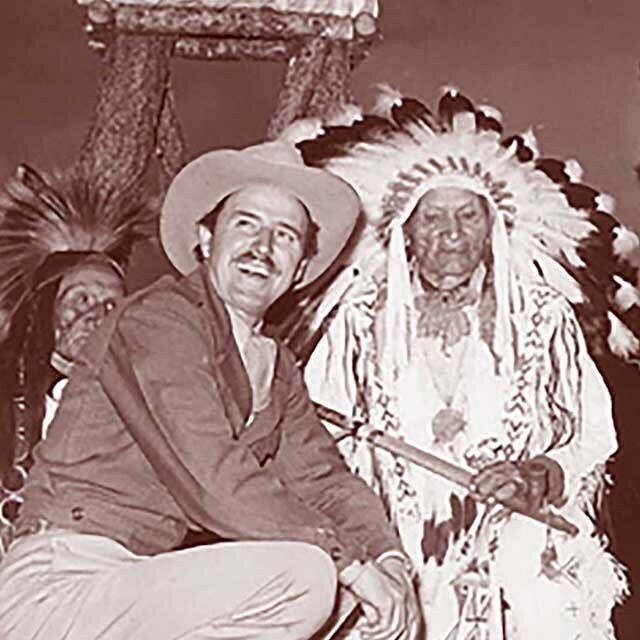 To expand and enhance THE INDIAN MUSEUM OF NORTH AMERICA® and further develop the Ziolkowski Family Life Collection and the Mountain Carving Gallery. To develop and deliver year-round academic programming of THE INDIAN UNIVERSITY OF NORTH AMERICA® in partnership with institutions of higher learning; growing student enrollment from 38 students, currently, to over 100 per year.